Born in 1987 in Geneva and grew in Lugano, Alessandro Kraus lives between Milan and London. Grandson of the maestro Raffaele Paverani inevitably breathed music since his childhood. The console has cut out and stitched up edm sounds, recording sold out in the most quoted European clubs and bringing the same time his music within the walls of Just Cavalli Milano, where he was resident DJ for 3 consecutive years. Thanks to his talent, he has been the protagonist of many festivals, fashion parties and design events, a must for all the jet set. 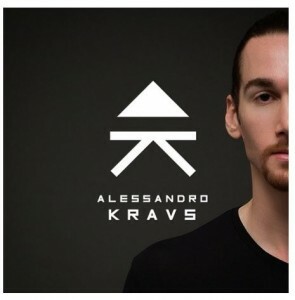 His 2017 is a very important year for Alessandro Kraus, who releases his first EP called “Let’s Fly” in collaboration with the sister Céline and Gabriele Greggio, via Krian Music Group.